The Much Music Video Awards are annual awards presented by the Canadian TV channel Much to honor the year’s best music videos. This year, Black Dog’s very own Ryan Pallotta is nominated by way of Nick Jonas who is up for Best International Artist. 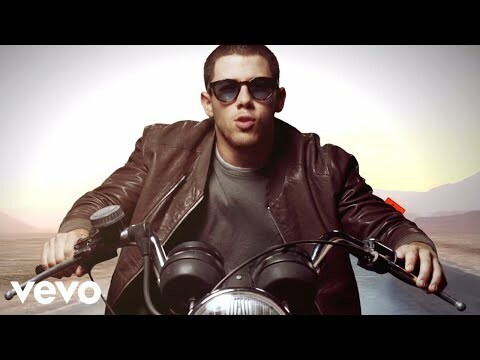 Pallotta directed Jonas’ “Jealous” video, in which the heartthrob can be seen riding a motorcycle, playing basketball, and doing some good old fashioned walking down a street while singing into an old-school microphone. It’s got some fierce competition, up against the likes of Sia’s “Chandelier,” RiRi’s “FourFiveSeconds,” Sam Smith’s “I’m Not The Only One” and Taylor Swift’s “Blank Space” videos. Congratulations and best of luck to you Mr. Ryan Pallotta! We look forward to catching all the action at the 2015 MMVAs this June.